Keller Williams Agents in the US have a unique opportunity to ignite their lead generation. Keller Williams Realty International has an agreement with Placester to provide their agents with a new Placester website. The sites are easy to use for the agent and visitor. 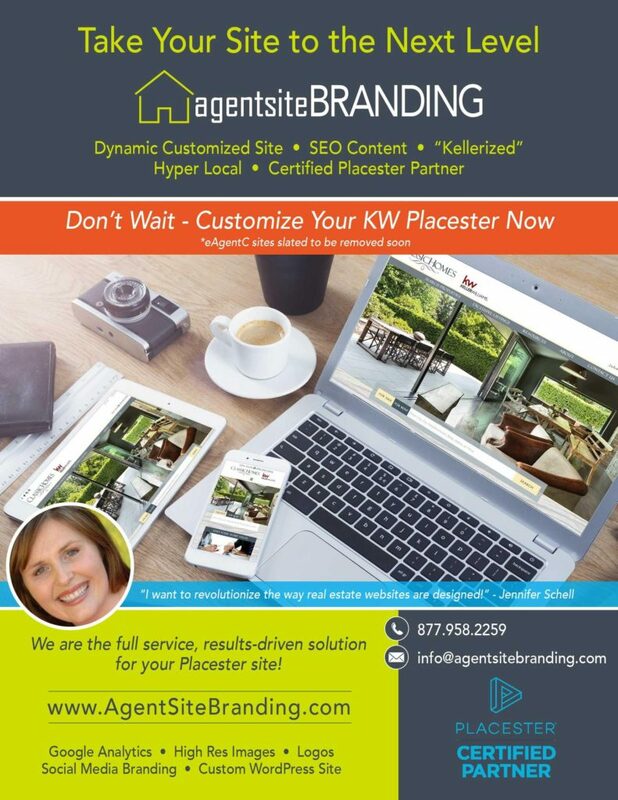 Agent Site Branding, a partner in the Certified Placester Partner Program, has been creating fully customized Placester web designs for Keller Williams agents, across the USA. The response has been astounding. Agent Site Branding uses their years of experience in real estate web design, SEO content to create dynamic and revolutionary Placester web designs for their clients. eAgentC, an older platform which Keller Williams Agents and Market Centers have been using, is slated to be removed and will no longer be supported. It is widely speculated that the end date will be December 31st, 2016. Agent Site Branding encourages all agent levels, new agent to Mega Teams and Market Centers to get started. We can migrate your current content over to your new site, without hassle or extra fees. We don’t want to see you wait to the last minute and not have the online presence you deserve. Our team is ready to serve you.